The tips below will help you pick the perfect playlist to queue up on your Bose SoundTouch when you’re working/ napping/ snacking around the house. You can even click around the image below to check out samples of the different kinds of music we’re talking about. So read on, and get ready to play some songs in the key of getting stuff done. It can be tempting to just listen to your favorite songs in bed, but think twice before rocking some summer jams right before lights-out. Sound therapists have declared that synthesized ambient music — with a low tone, repetitive melody, and 60 beats per minute — can decrease blood pressure, increase relaxation, and leave you primed for sleep. Try grabbing one of those New Age compilations from those ‘90s commercials — it’ll prepare you for a solid night of shut-eye (and it’s hilarious to play for unsuspecting house guests). Music can do much more for your culinary experience than provide background noise while you stir-fry. In fact, the tones used in songs you listen to while eating can actually affect which tastes you register. According to an Oxford University study, high notes emphasize the sweetness in the food you’re nibbling, while low notes bring out the bitter. Try pairing high-pitched pop with a super-healthy breakfast — it’ll satisfy your sweet tooth and leave you with higher energy levels (and superior dance moves) throughout the day, compared to your typical morning sugar rush. Bose SoundTouch allows you to have up to six personalized playlists stored as presets, so you can play your breakfast jams with the touch of a single button. This is extra convenient in the morning, when all you have is a free elbow and your hands are covered in actual jam. Even the most hygienic of us tend to pare down our morning routine to the barest essentials in order to get to work on time without being arrested for public pantslessness. But even if you’re rushed in the morning, try listening to your favorite songs before leaving the house. Rather than being an indulgence, listening to music you love can release dopamine and stimulate motivation — setting you up for a more productive day. Not too shabby for something you can do while flossing, right? When you’re at home working for yourself, making money doing things you care about, you’re the envy of every 9-to-5er out there who is mired in TPS reports. But there are still some parts of being your own boss that you have to figure out — like, how do you force yourself to focus on your work instead of whiling away the day looking at videos of otters playing the keyboard? Try some baroque music in place of your usual workday tuneage — works by composers like Bach, Handel, and Telemann, which have 50 to 80 beats per minute, can help you access alpha brain wave states and achieve deep concentration. And all that achievement and focus will make looking at those otter videos at the end of the day even sweeter. How can anyone be expected to devote their spare time to mowing the same lawn (or watering the same fire-escape garden) week after week, without eventually losing their mind and possibly weeping into some perennials? The unlikely secret: up-tempo pop music. Studies have shown that people complete physical work quicker, are better able to fight fatigue, and work harder overall when listening to faster music. Nix the suburban classic-rock dad jams you’ve been trimming the shrubs to and listen to your little sister’s favorite pop diva mix instead while mowing and raking. It can be fun to listen to the same song or album on repeat while you exercise, work on a project, or drink white wine spritzers and think about people you made out with in high school. But when it comes to gathering the gang for a dinner, pre-party, or any other social event in your home, make sure to create a randomized playlist that never repeats tracks. Having songs roll out in a predictable order robs the listener of the dopamine rush created by randomness, thereby dulling your party, stifling conversation, and making everyone stare at the artichoke dip in awkward silence. So keep things lively with a custom playlist for your event, rather than just throwing on the year’s mega-hit album. For some advanced-level moving and shaking, use the Bose SoundTouch system’s multi-room audio capabilities to stream different unique playlists in different rooms. Your guests will remember your soiree as much for your sonic ingenuity as for your awesome canapés and creative cocktail names. 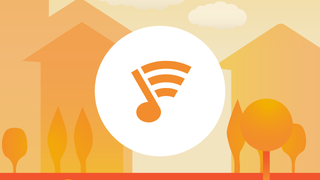 And this just scratches the surface of the ways you can use music around the house. With Bose SoundTouch in tow, you can juice up your domestic life and have more time and energy to do the really meaningful stuff in life...like find new music. Isn’t modern life amazing? This post is a sponsored collaboration between Bose and Studio@Gawker.